Scene: Garda check the van involved in the shooting at Blakestown Road, Dublin 15. Gardai have appealed for witnesses to come forward and issued a description of a gunman after a father-of-two was left in a 'critical condition" following a shooting in west Dublin last night. 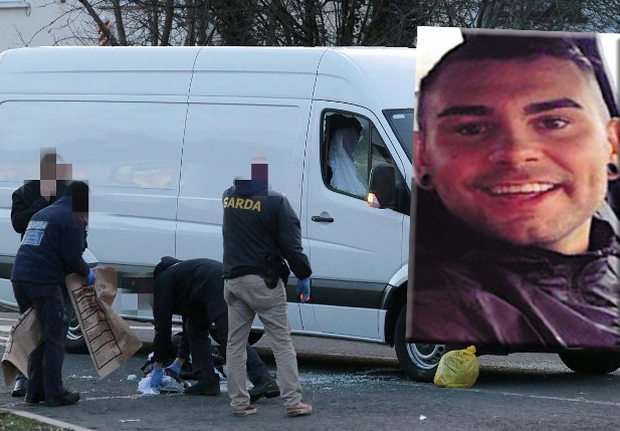 The victim, named locally as Lee Boylan (24), was targeted while driving his van on the Blakestown Road in Briarswood, Dublin 15, yesterday evening. It's understood that his condition has deteriorated this morning and he has been transferred from Connolly Hospital to Beaumont Hospital. A gunman approached the victim about 5pm as Mr Boylan waited in traffic and fired a number of shots into the vehicle, striking him in the body and neck. The shooter then ran to a waiting silver BMW 3 Series which was found burned out a short distance away. Several children saw the car being set alight. Superintendent Liam Carolan today said that the shooter was so reckless that "anybody in the vicinity could have been shot dead. It was daylight, there were a number of people in the area including young children." Supt Carolan described what happened during a press conference this morning. "The injured party drove down Blakestown Road in a VW Crafter van registration 151D43908," he said. "Approximately three of four cars back there was a silver BMW 320 coupe - registration 05KY 5360. The front seat passenger of that BMW got out and approached the driver's side of the van and fired multiple shots into the van. "The driver, who was on his own at the time, was struck a number of times in the upper body. "Following on from the shooting we believe the gunman fled on foot and ran into Huntstown Lawn. The gunman was wearing a dark bulky parka jacket which extended down to his knees. He is approximately 6ft tall, he had a blue glove on his left hand, and a black baseball cap with a white logo. "Shortly after he fled, a black VW Golf came out of that estate, and we are anxious to speak to the driver of that car, it was around 5.05pm, and we just want to eliminate that car from our enquiries. 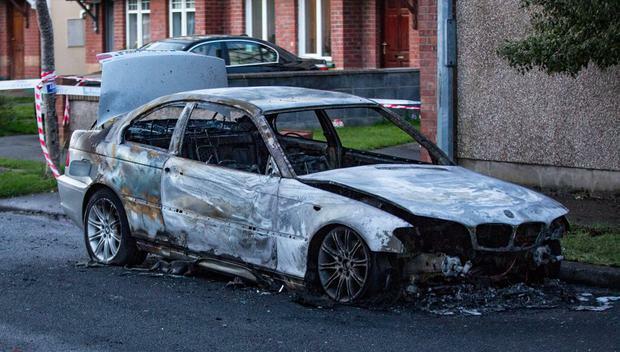 "Subsequently the BMW traveled to Sadlier Lawn in Mulhuddart and the car was set on fire." In a statement this afternoon, gardai renewed an appeal for any witnesses of the scene or cars to come forward. "We are appealing for witnesses or anyone with information to yesterday’s shooting incident to contact the incident room at Blanchardstown Garda Station. "We are particularly interested in the movements of a black /grey BMW 320 coupe, registration number 05KY5360, seen around the Blakestown Road area or adjoining estates yesterday between 9am and 5pm." They are also anxious to speak to anyone who was seen in the Sadlier estate where the BMW car was. He was described as 6ft, 40 to 50 years of age, grey facial stubble and described as very emaciated. He was wearing a hoodie worn over a baseball cap and runners with reflective stripes. They have also appealed for information relating to the BMW car. It was purchased in the Ronanstown area of Clondalkin on February 9 this year. "We're very anxious to trace the movements of that car from February 9 to today. People may have seen that car parked up in an apartment block or in an estate, and we'd be anxious to speak to anyone with information," Supt Carolan said. The gun victim is known to gardaí, and his associates have links to a number of organised criminals in west Dublin, including the mob led by drug dealer Mr Flashy. However, he has no previous convictions and was last night being treated in James Connolly Memorial Hospital where he was in a stable condition. Detectives are probing whether the shooting is connected to an ongoing dispute in the west Dublin area involving Mr Boylan's associates and criminals from Finglas. 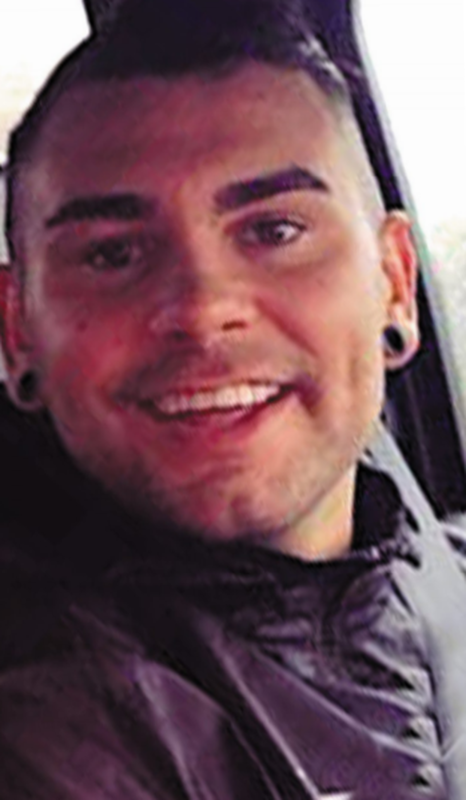 The Finglas gang has links to Shane Fowler, who died in a road traffic collision in the area last May. However, gardaí are following a number of possible motives linked to the shooting which at this stage is being treated as an attempted murder. "Associates of this man have been embroiled in a number of serious disputes with serious criminal elements in the Finglas and Blanchardstown areas," a senior source said last night. 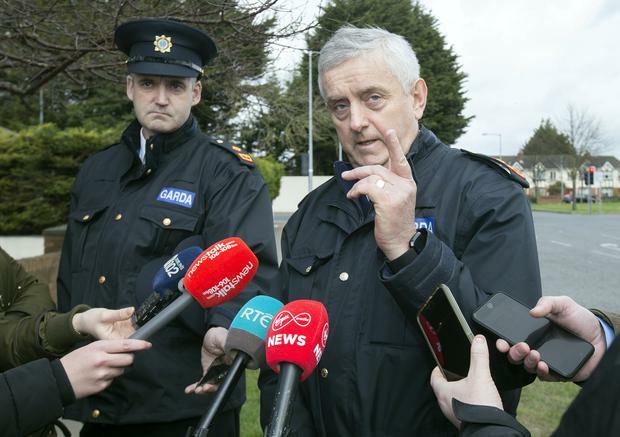 Despite being from the Corduff area, gardaí said that there was nothing to suggest Mr Boylan was connected to gun warfare in the area last month which resulted in four shootings within a few hours. His most serious brush with the law came in February 2016 when he was caught by Customs passing through Dublin Airport with three other local men. They were carrying almost €20,000 in cash with one-way tickets to Malaga, Spain. Mr Boylan was caught with €2,500 which was forfeited to the State. He was travelling with a 24-year-old notorious criminal who can't be named for legal reasons but is currently serving a lengthy jail sentence. Members of the Armed Support Unit flooded the Blanchardstown area in the aftermath of the gun attack, while a helicopter from the Air Support Unit was also deployed. The brother of the victim is said to have been in "hysterics" in the direct aftermath of the shooting. "He kept shouting, 'My brother has been shot. My brother has been shot'," said a local resident. "I live just around the corner from Blakestown and heard about four very loud gun shots. "When I came out of my house I saw a large crowd of people surrounding the man, who was bleeding very heavily from the side of his body." The resident added that the victim is well known in the area and is a father of two children. Another local resident told the Irish Independent that this is the second shooting to take place in Blakestown in recent months. "Eric Fowler was fatally shot in December just up the road from here," she said. "It's ridiculous how bad things are getting. "If shootings like this keep happening it's only going to be a matter of time before an innocent person gets killed." Just five minutes away in Saddlers Grove, Mulhuddart, a number of children witnessed the man, who is linked to the shooting, torch his silver BMW 3 Series car. Many more residents in the west Dublin estate saw him flee the scene on foot. Anyone with information is asked to contact Blanchardstown Garda Station 01 666 7000 or the Garda Confidential Line 1800 666 111.